I can’t remember the first time I made mascarpone whipped cream, I just remember that I instantly fell in love with it. 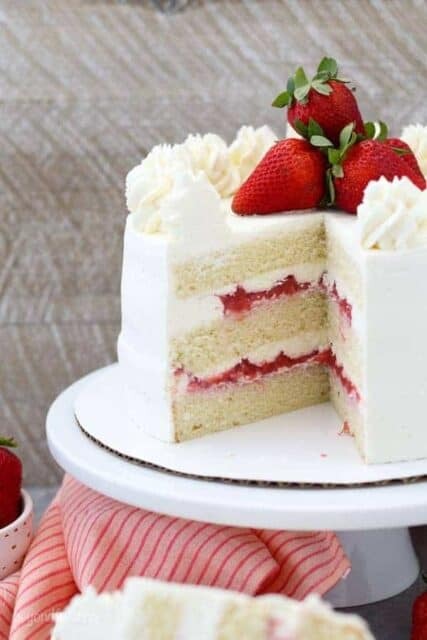 It’s subtle flavor and creamy texture really bring to life the other flavors in your dessert because they don’t over power the dessert. 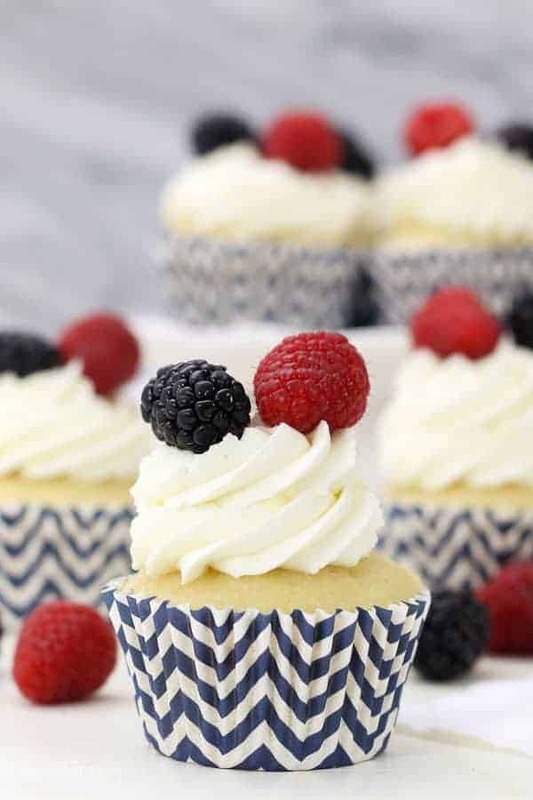 My favorite way to enjoy it is with berries. 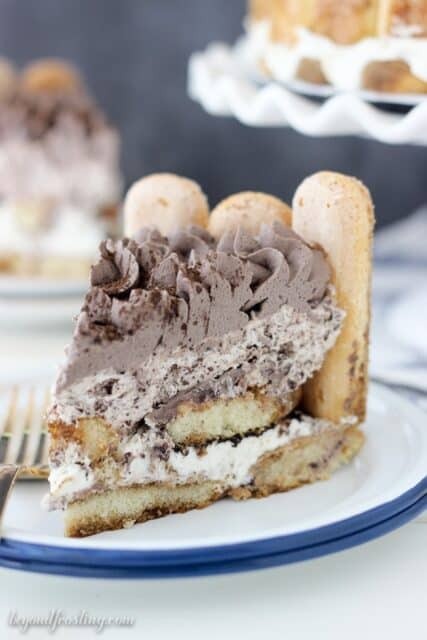 Mascarpone whipped cream is often referred to as stabilized whipped cream because it’s thicker and well, just more stable than whipped cream meaning it holds it shape much better. 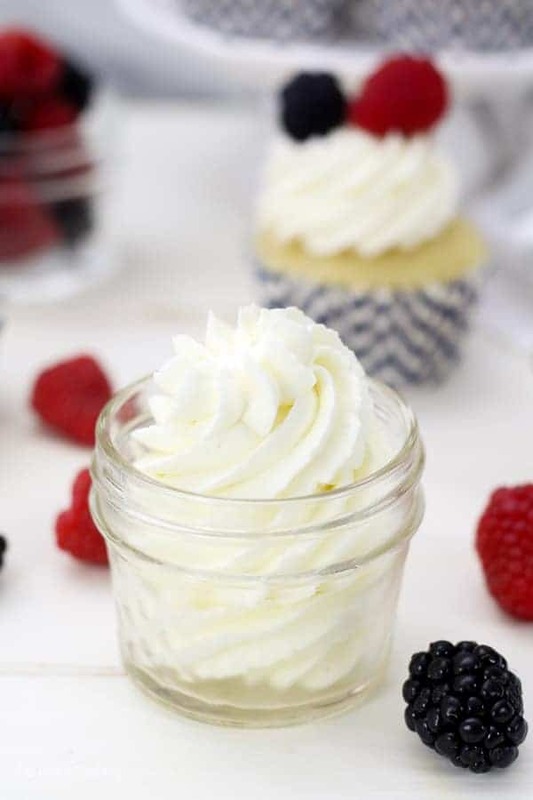 Another way to make stabilized whipped cream is by using powdered gelatin. 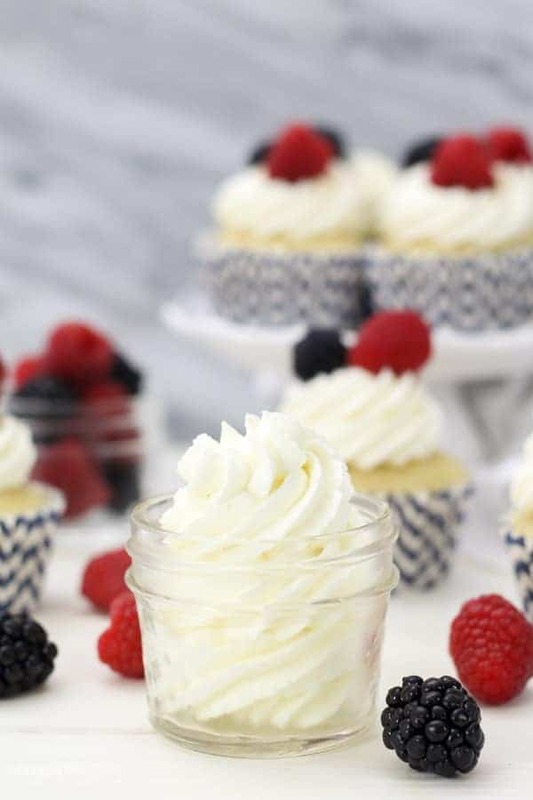 This mascarpone whipped cream makes a great frosting for cakes and cupcakes and is perfect for desserts like Tiramisu. But honestly, I’ve been known to just eat it with a spoon because it’s so dang good. When making mascarpone whipped cream, we’re using a combination of mascarpone cheese, heavy whipping cream and powdered sugar for increased stabilization. 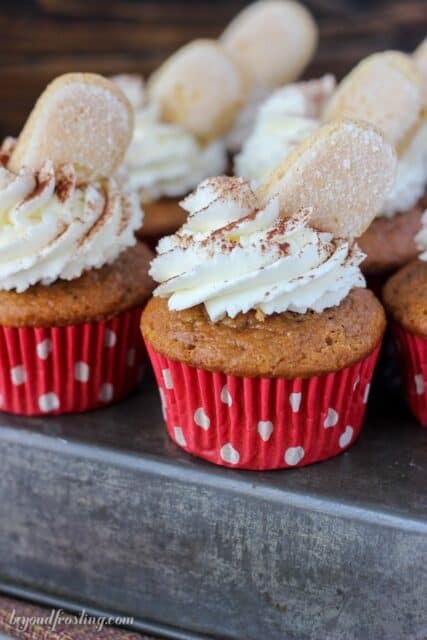 The powdered sugar will definitely add a bit of a sweet flavor to your whipped cream, which you may or may not like as much. 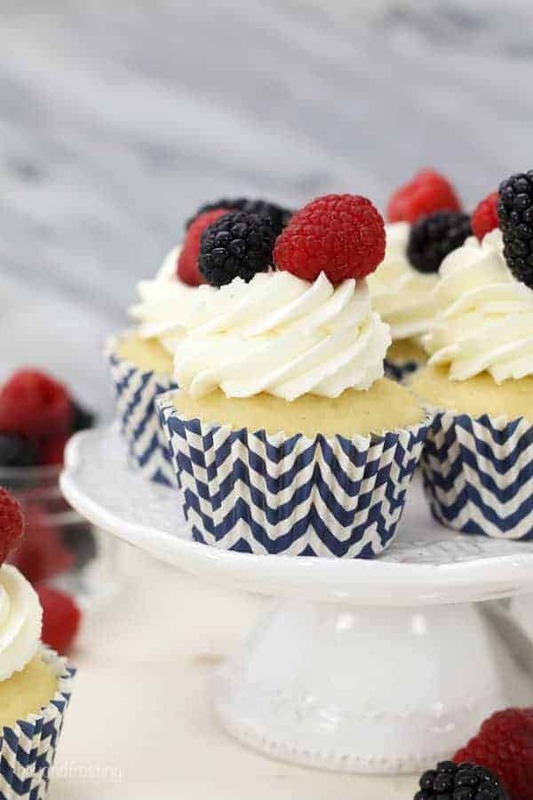 Personally, I prefer it to be sweeter and that may be because I used powdered sugar in all my whipped cream recipes, so that is the way I am used to having it. 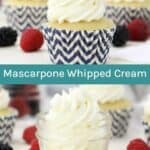 You may also enjoy adding a touch of vanilla extract or vanilla bean paste to your mascarpone whipped cream. Another way I like to flavor it is by adding some lemon or orange zest. I even made a cinnamon honey flavored mascarpone whipped cream for this pumpkin cake that I made. It was freaking delicious! 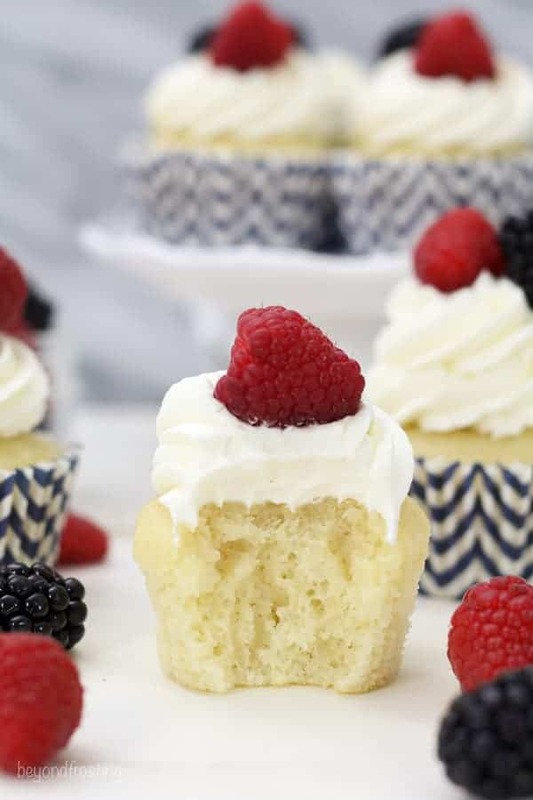 You don’t need to get fancy with it, it’s perfectly amazing with some fruit and vanilla cupcakes, but scroll down to the end of this post for more recipe inspiration using mascarpone whipped cream. Starting with a cold bowl helps to keep the cream cold as it’s whipped. Place the mixing bowl and whisk attachment in the freezer for 5 to 10 minutes to chill. Once that happens, increase the mixing speed to high (speed 8-10) and beat it until soft peaks form. Then add your powdered sugar and vanilla extract, beating on low until incorporated. Then continue beating at a high speed until stiff peaks form. Mascarpone is an Italian cream resembling a softer cream cheese. It has a light tangy flavor and is much less subtle tasting than a traditional cream cheese. 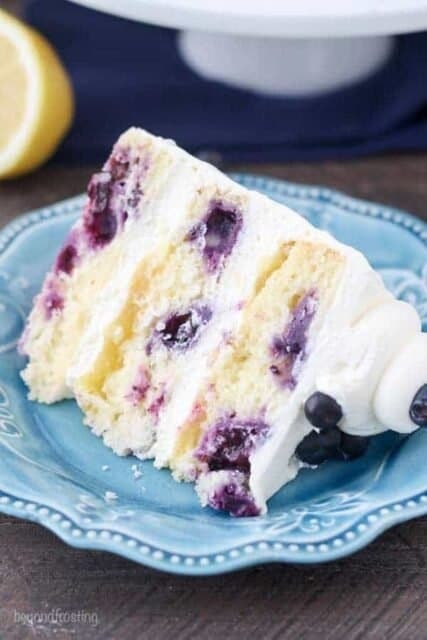 Its creamier texture is due to the higher fat content than cream cheese. 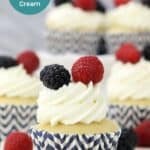 Can I substitute cream cheese for Mascarpone? Yes, my recommendation would be to substitute a regular full-fat cream cheese. The taste will not be quite as subtle. What brand of Mascarpone cheese do you use? In my humble opinion, not all brands of mascarpone are created equally. I’ve purchased a variety of brands, and some have had a waterier consistency than others. The ones that are more watery do not tend to produce as stiff a texture I am looking for with a whipped cream. My preferred brands are BelGioioso and Vermont Creamery. Where do I find mascarpone cheese? You can find it in the deli section of your grocery stores, usually near the hummus and other fancy cheeses. I have found that Whole Foods tends to actually have decently priced options for mascarpone cheese as well. Looking for more? 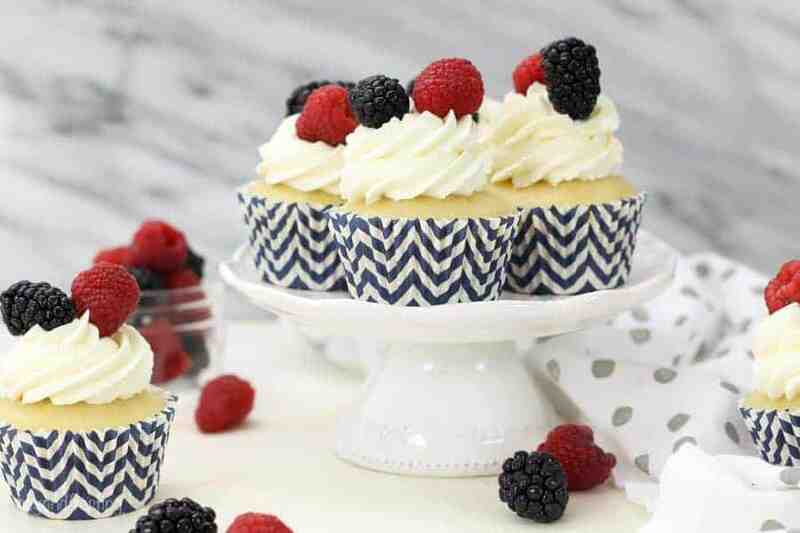 I love these Mascarpone Tarts with fresh berries and these strawberry cupcakes look amazing but I am very excited about this Lemon Mascarpone Cheesecake! This was great! You answered a nagging question i had, gave me some new(!!!?!) 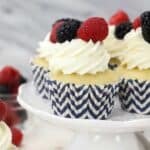 recipes to try, and gave me a giggle! I really loved that all-frosting cupcake at the end. First time at your site, but not the last. Thanks!